Our vision is to enable fathers men and boys to explore and develop positive masculinity, increase their self-confidence and motivation, improve their communication and social skills and create stronger, respectful and supportive relationships. Positive masculinity encourages men and boys to feel good about being male and support gender equality. 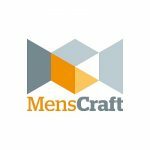 Based in Norfolk, MensCraft was established in 2007 by a group of men with professional and personal interest in the issues around men and masculinity. We run programmes, groups, camps and work-shops for fathers, men and boys throughout East Anglia. We provide training and consultancy for family and children’s agencies about engaging with and providing services for fathers.